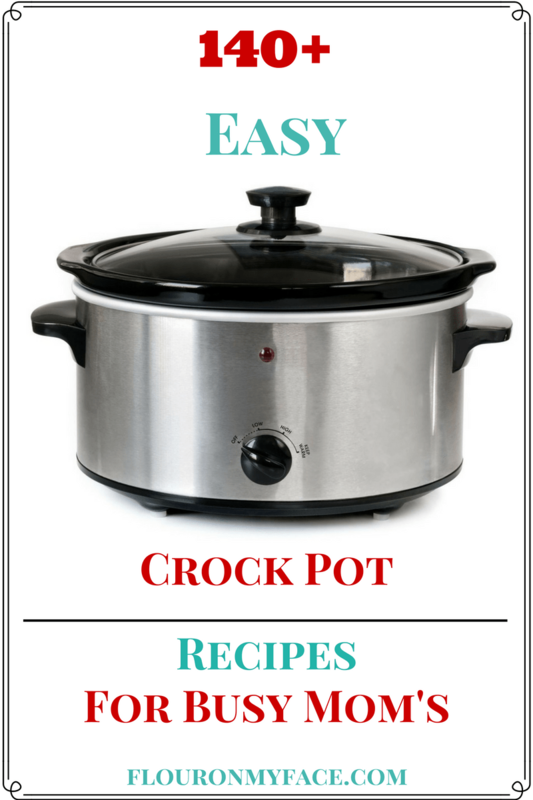 It’s time for another one of my easy crock pot recipes. I hope you have been enjoying my weekly crock pot recipes as much as I have been enjoying cooking in a crock pot. So far the majority of my crock pot recipes have been chicken crock pot recipes. 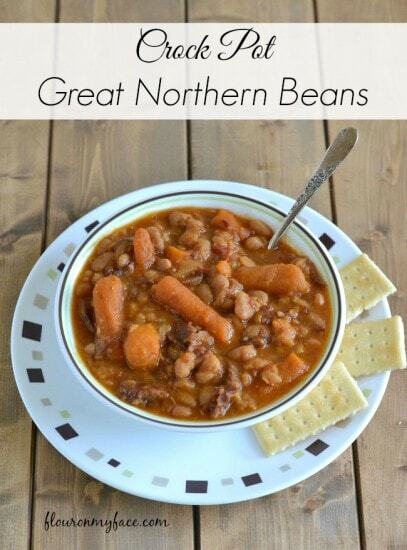 This week I am branching out with this Crock Pot Great Northern Beans recipe. It seemed only fitting to make Crock Pot Great Northern Beans this week. Many families enjoyed a baked ham for Easter dinner. It seems kind of wasteful to throw that ham bone in the trash even though there is still plenty of meat left on it. Whenever we enjoy a baked ham for any holiday I love to make a pot of ham and bean soup with the leftover ham bone. My favorite dried beans are great northern beans. I used to make split pea soup with our leftover ham bone but no one but me would eat my homemade split pea soup. I grew up eating homemade split pea soup. My mother would make a big pot every holiday after we had a ham. I loved it as thick as possible. The thicker the better. As much as I loved my homemade pea soup there is only so much pea soup one person can eat. One day I decided I wanted a pot of beans with my leftover ham bone. I picked up a bag of dried great northern beans and have been making ham and bean soup with them ever since. Since it is #CrockPotFriday I decided to make my ham and bean soup in the crock pot. One of the things about cooking with dried beans is that you are suppose to soak them overnight before cooking with them. That is a deal breaker for me. It have to remember to soak the beans which many times I kept forgetting. Soaking dry beans help them cook faster. Dried beans are as hard as a rock when you take them out of the package. Cooking the dried beans in a crock pot takes care of the soaking over night issue. But be sure you rinse them well and pick out the discolored beans and any foreign items that may be present. Occasionally I have found tiny rocks mixed in with the dried beans. Place all the ingredients into a 6 quart crock pot. Cook 7-8 hours on low or until the beans are soft. Salt as needed. Some hams are very salty. Wait until the end of cooking time to taste and salt as needed. This Crock Pot Great Northern Beans recipe is my favorite homemade bean recipe that I make every time I have a leftover ham bone. Cook on low for 7-8 hours or until beans are cooked through. For over 140 more crock pot recipes visit my Crock Pot Recipe page. I have a big ham bone with meat on it and some leftover ham slices and I wondered what to do with it, and I am going to make this Crock pot bean recipe tomorrow. I am going to the store to get some of the ingredients and make this! Thanks for sharing what a delicious dish! I have all of the items in the Crock pot cooking and I just love this recipe and it already smells so good in my kitchen. Your recipes inspire me, just love Crock Pot Cooking! I am so glad to hear that! Thank you so much for being a loyal reader!